You are here: Home / News / Magic Mitt Romney. 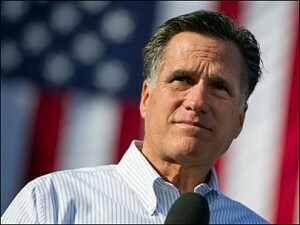 (ThyBlackMan.com) He may not look like Channing Tatum with his shirt off, but this election season Mitt Romney has baby oiled himself onto the political stage, gyrating through so many different positions he should be packaged with an NC-17 Rating. Somehow Magic Mitt has managed to come within two weeks of election day while taking antithetical sides on several key issues that could make or break his candidacy. Abortions? Yes please. Overturn Roe vs.Wade? Don’t mind if I do. Latinos? Self deportation. Latinos vote? Pass the spray tan Anne. Tax cuts? I’ll take $5 trillion please. Explain the tax cuts? $5 trillion who? Say what you want about Magic Mitt, but the man is really flexible and he clearly knows how to work a poll. This week down in Boca Raton, having already proven he’s willing to say or do anything to get the electorate to place a few ballots in his g-string, Mitt Romney strutted back onto the champagne room stage for the final presidential debate. But this time the house lights were turned on and he was exposed for who he truly is…an empty suit. Out of his element and often out of sorts, Mitt Romney played the role of the stripper who claims they’re dancing on tables to pay for tuition yet has no earthly idea how to register for classes. No worry though, President Obama was more than happy to give Governor Romney some one on one foreign policy tutoring. The President granted no quarter, seizing on any and every opportunity to pat his student on the head and tell him to take good notes in his trapper keeper. At one point President Obama actually explained the concept of aircraft carriers to Governor Romney, who looked on with a pained expression as if he was hoping that question wouldn’t be asked on the final exam. Magic Mitt did his best to work his platforms but his footing was wobbly during his debate table dance. He backed off of most if not all of the foreign policy positions he had been running on up until the moment the debate started. On issues ranging from Libya, Egypt, Russia, China, and Afghanistan, Romney embraced the President’s policies despite the fact he’d spent the last several months hammering him for “weak leadership“. President Obama took great joy in highlighting all of the governor’s hypocrisy and acrobatic maneuvering on the stage. He often smiled through Romney’s capitulations while strafing him, mastery of foreign policy on full display for all to see. op-ed entitled “Let Detroit Go Bankrupt“, saying he “wouldn’t move heaven and earth” to get Osama Bin Laden, and attempting to “airbrush history” when it comes to his record. Romney sat through the bludgeoning, sweating profusely and showing none of the fighting spirit he displayed during the first two debates. It didn’t take long before it became clear that if a blow was going to land on President Obama, it was going to have to be delivered by Tagg Romney because the governor definitely wasn’t taking any swings himself. After the debate, no one quite knew what to make of Romney’s performance. Was he playing prevent defense? Perhaps he was employing a do no harm strategy, tacitly acknowledging he was out of his league on foreign policy and anxious to avoid a costly blunder that might knock him out of contention. Or as the Fox News pundits said, maybe he was simply focused on “looking presidential”. Whatever the case may be, the third and decisive bout between President Obama and Mitt Romney ensured their debate series will no longer be compared to the epic Ali vs. Frazier trilogy. This is because the only similarity this foreign policy debate shared with the “Thrilla in Manila” is that Romney appeared to quit on his stool. In the final act when it mattered most, Magic Mitt made himself and his electoral hopes disappear. One may connect with this brother via Twitter; J. Carter.